Fires continue to burn around the state of Victoria and we still have friends in threatened areas. As many of you know, the town of Marysville has been almost entirely burnt. 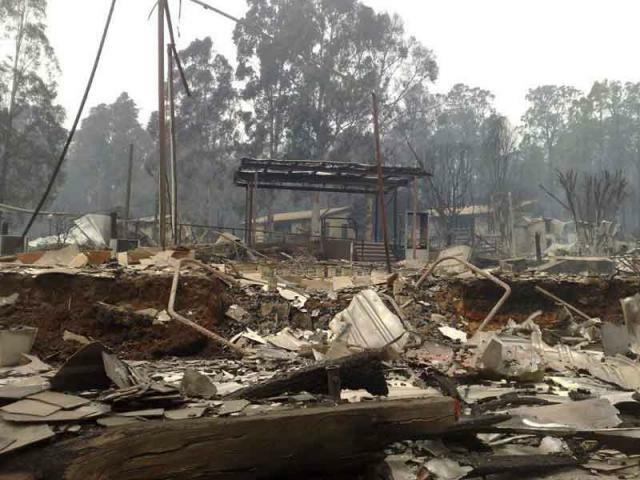 The photo to the left is the aftermath of fire at the ESA campsite – where I have been and led on several camps. More ESA photos can be found here. If you can offer help in any way the ABC website has a link of networks to those such as the Red Cross or Salvation Army. This photo makes me so sad. Some of the best memories and times of my childhood and teenage years were spent at ESA Marysville. God used this place to bring many to know Jesus.